Eric, a doctor specialising in trauma care, is persuaded to resurrect his long buried gift of hypnotism to extract information from the sole survivor of a ferocious massacre. But, when Eric’s son is kidnapped it seems that the secrets of his past have caught up with him. Sounds interesting, doesn’t it? Don’t be fooled; the level of awkwardness in the narrative gives this book a childlike feel, and the plot is strung together by the most tedious of tendrils. The Hypnotist was clearly engineered to emulate Larsson and its sole achievement is that it exceeds itself. It is even more appalling. 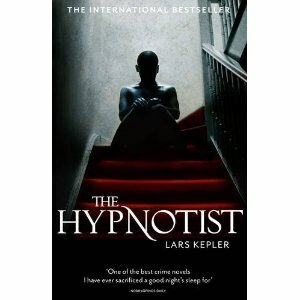 You are currently reading The Hypnotist by Lars Kepler review at booksbeccabuys.